OnePlus Two equals six months of waiting? 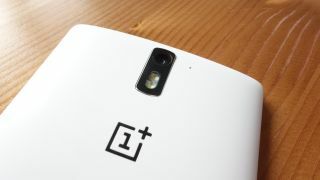 Rumours are suggesting that the much anticipated OnePlus Two, which was set to be released in the third quarter of this year, could be delayed once again to a later date. Although manufacturing problems are often to blame for the delays of new smartphones, it looks like the OnePlus Two may be delayed because of the success of its predecessor. According to rumours posted by Gizmochina, OnePlus believes that the OnePlus One could still be popular during the second half of this year, and there are worries that by launching a successor it could prematurely cut off the popularity of the older phone. If the delay is real then the OnePlus Two might benefit, as OnePlus may no longer use the Snapdragon 810 processor and instead include an even newer – and more powerful – chipset from Qualcomm. The rumours suggest that the OnePlus Two could now be coming out in early 2016, which would pit it against its Chinese competitors the Meizu MX5 and Mi 5, which would mean the OnePlus Two could have a fight on its hands.